Indianapolis is developing at a rapid pace and with that comes a growing number of couples. When beginning your wedding planning, one of the first things to start researching is various venues in your area. 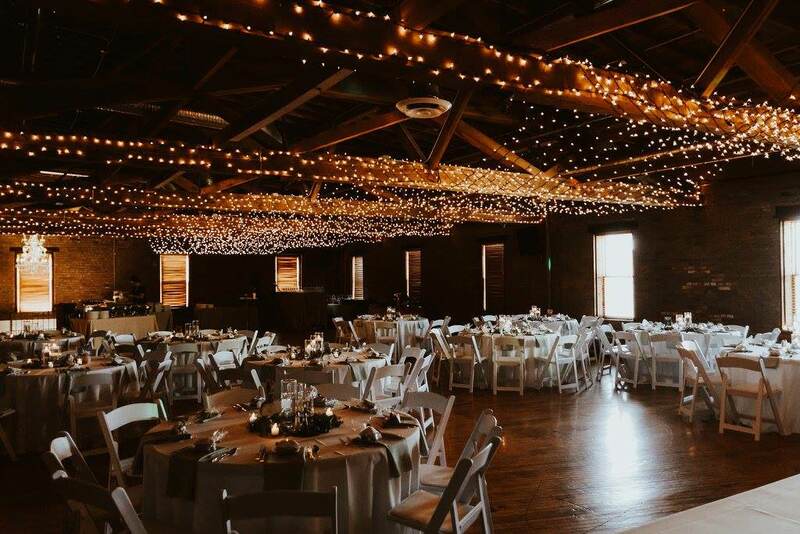 This is the venue that you can envision yourself walking down the aisle in, cutting your delicious cake and slow dancing at the end of the night at. It's the place that you feel a surge of emotions take over because the gratitude takes over. It makes the entire process of planning this perfect day all worth it. The day is here and you walk out onto the aisle. You see your fiance and it clicks.. You've found 'The One'. And we aren't just talking about your beau. It's your venue, too. Are they available for your day? How many events can occur in one day? How many does the event space hold? What are the rules and regulations on outside vendors? The list can keep going. The point is to know what you are wanting from your venue, good enough to know that you can walk away from one that isn't the right fit for you. 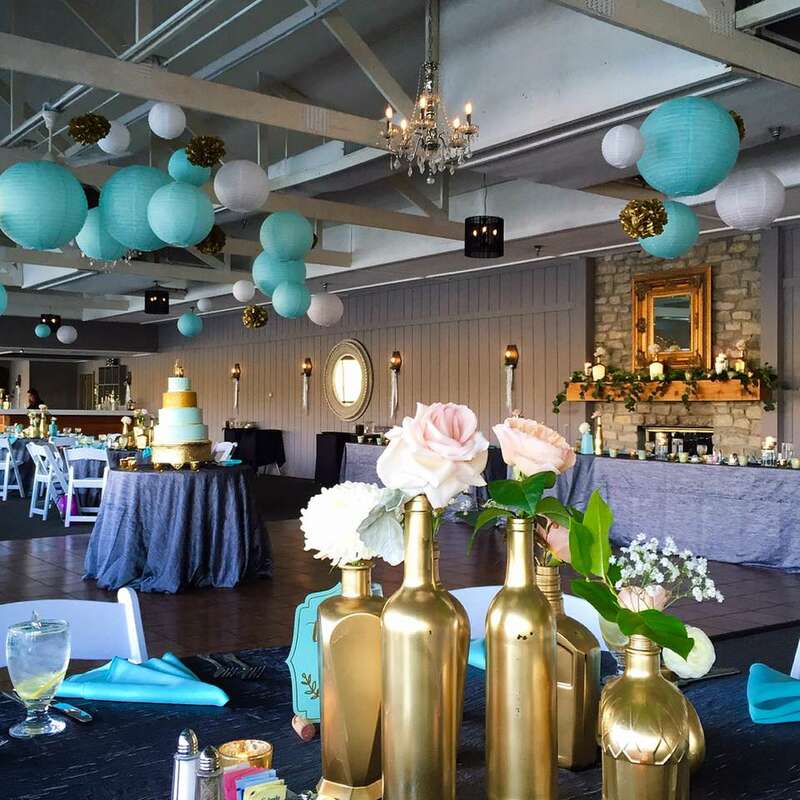 Here we have a local, industrial venue perfect for brides and other social events! They are brand new and in downtown (but not near all of the traffic or busyness of downtown which is a bonus). 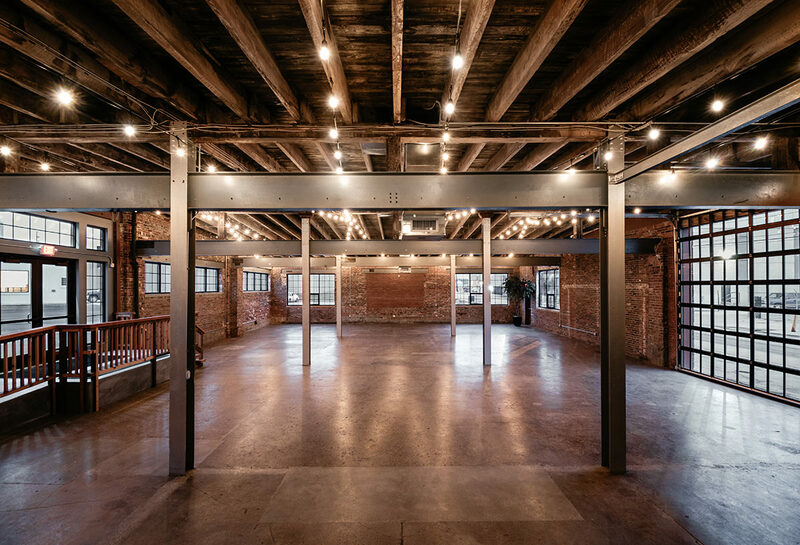 They have a unique floorplan which showcases 2 event spaces totalling 4,000 sq/ft. They can hold up to 300 guests, which is easy when the floor plan is so simple! The stained concrete and black iron beams help create a minimal feel, so everyone can focus solely on the newly married couple! Oh, and did we mention easy parking? Sitting on the well esteemed Tinker Street, you can catch a glimpse of this veteran owned distillery beneath, Hotel Tango. Tinker House is highly praised not only because of the uniqueness, but because it's also in a great part of town! Walking through the front doors you enter Provider Coffee & Long Drinks, and yes, it's as exciting as it sounds. A coffee shop with great hours and drinks, not to mention that there's always a sweet treat downstairs. Upstairs, you can stand at the edge of an extravagantly long bar, to see a 2 story distillery tank.. almost as shiny as the bride's ring. 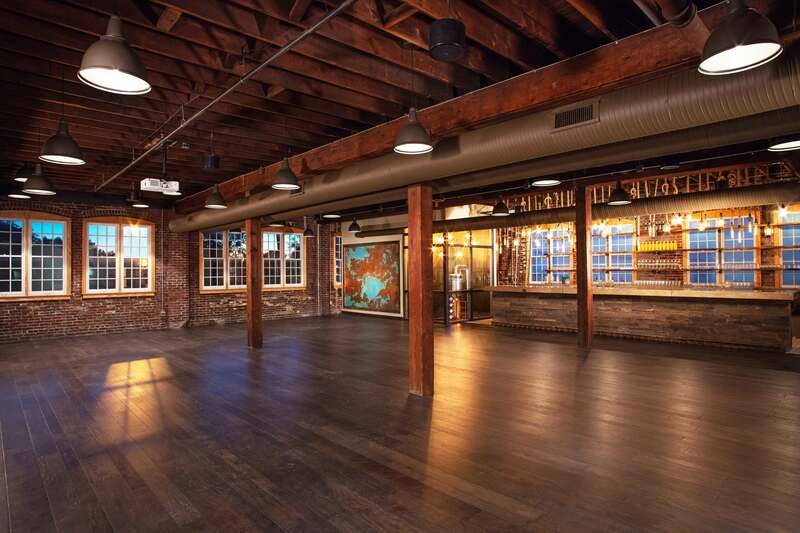 Their open floor plan showcases custom light pieces, exposed bricks, and wooden beams. Not to mention, it's tradition to do Bridal portraits under an exclusive light piece in the Bridal Suite. In the heart of Broad Ripple, and adjacent to Spirit Lake, this venue is quaint and quiet. With 3 different spaces, they serve every style. The Ballroom is newly renovated and anchored by a stunning chandelier. Perfect for formal occasions. The Lodge sits on the South side of the lake and is full of amenities such as: outdoor terrace, a deck overlooking the water, an outdoor fireplace, and wooden beams to center the space. The Garden is special because you can choose to face the woodlands, or the lake. Plus, who wouldn't want couples portraits during sunset with the lake as a backdrop? If you'd like to get married in a historical building, this is it for you. Over 140 years old, with 6 different levels that hold 13 different spaces, it's rich in history and extraordinarily rare. Their top notch, professional coordinators will work with you to make sure the event spaces are special for you and your fiance. They will also be on site the day of to help ensure everything goes smoothly. They can accommodate up to 350 guests and also offer bar packages! With the deep wooden accents and golden floors, you can't help but fall more in love with the venue. 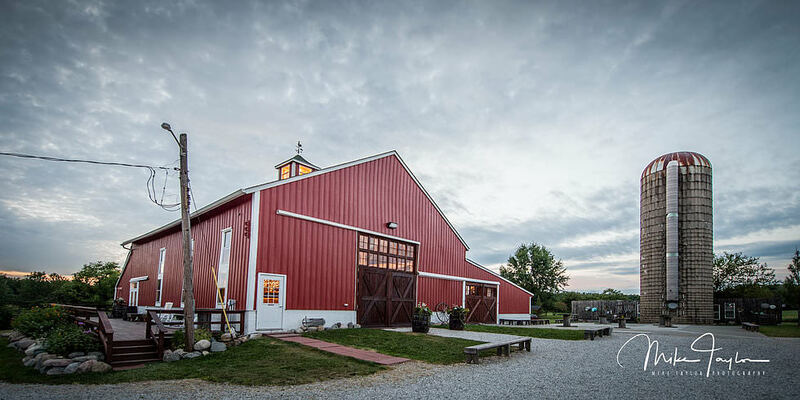 Rated Couples Choice Awards on Wedding Wire and placed just outside of Indianapolis, this 100 year old handcrafted Amish Barn holds 225 guests. You can choose to get married under an ancient catalpa tree. Your guests won't be the only one rooting for you two. The wooden arches, corbels, and shutters inside the barn will have you feeling at home. It's dreamy and romantic, just like your wedding night. The Silo outside is the perfect spot for Bridal Party portraits as well! When you've left, you'll want to revisit and you can! They also book social events. We wish you the absolute best in finding the perfect place that suits you and your fiancee and we hope this helps! If you're also in need of a DJ, feel free to get a quote here.Connect with us on Facebook and Instagram to find quick information and insights on our wedding DJ services.